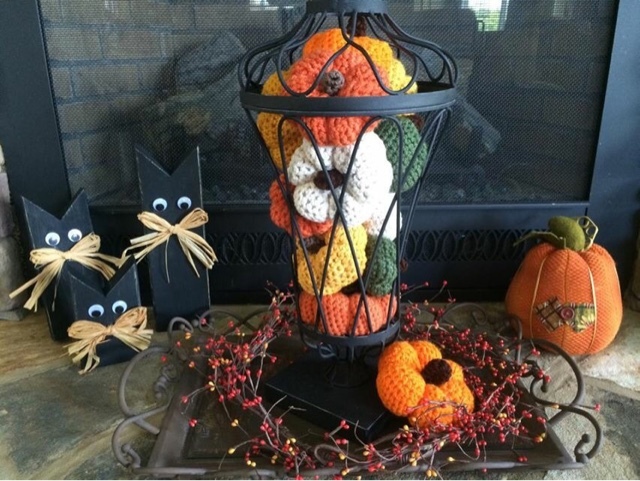 At Home with Chas: Pumpkin Ideas and The Winner! I recently had a local customer and friend contact me wanting several sets of pumpkins. She had an idea that she wanted to put together for her fall decor. 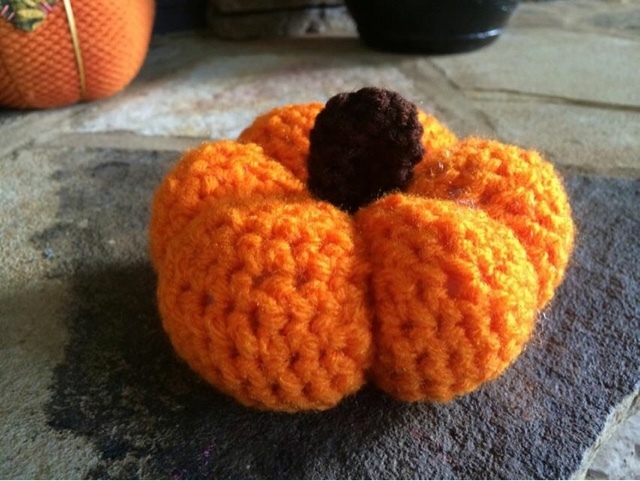 I got started right away stitching up some pretty little pumpkins for her. She told me that when she finished with her decorating that she would send me the pictures... I was so tickled with how beautifully her decorations turned out. What a great idea! 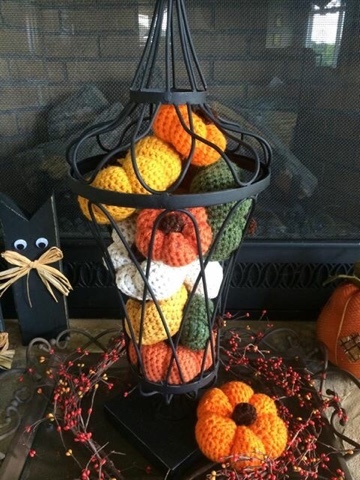 She used an empty iron urn and filled it with her colorful pumpkins! Surrounded by a wreath of berries in front of her gas fireplace. Here's a closeup of one of the pumpkins. Isn't it sweet? I love when someone asks me to make them something and they use it and love the end result. It is one of THE most satisfying feelings! Thanks so much Melissa for sharing your beautiful pictures and your great style! And now, I want to THANK YOU SO much for the fantastic response to the pumpkin giveaway! There were entries on Facebook, Twitter, the blog, Instagram, the giveaway was even pinned! It was truly a great response and it just warmed my heart! Sarah, contact me at heritageacreshomestead@gmail.com to claim your prize! Also remember if your name wasn't drawn, you may still be able to get your own set of pumpkins through my Etsy store. Thanks again to EVERYONE who participated. I appreciate you all so very much!!! Glad for the winner! And yes, it's always nice to see where your *craft* settled in.